Do you handle Real Estate Sales? What does "Max Occupancy" on the listing page for each property mean? Is there a building code in Maine? Will I know everything about a property that I am interested in renting from the listing on this website? Are there rate reductions offered if there are less than the maximum guests allowed at the property? We will be in the area checking out properties to rent for next season - Can we preview potential (or our) rental properties? What standard items are included with every rental property? What happens if we arrive later than the check-in time? Are we expected to tip (provide gratuity) to your cleaning staff? Will the water in our rental home be safe to drink? We'd like to rent a property for less than a week, is this possible? How do we book a property? Switching Properties - We already booked and signed a rental agreement with the owner to rent one of your properties, but now see another we like better, can we just switch? Where is your office if I need to mail you something? Will we meet you or your staff during our stay? Keys to the property? How do we know how to get to our vacation rental property and what to do once we arrive to gain access to it? What should we know about the ocean beach/shore around the property if there are any? Are there any wild or poisonous animals in Maine that I should be concerned about at our rental property? What about bugs? I am concerned about emergency medical services available to us on our vacation in Maine - What can you tell me to alleviate my concerns? How do I make a reservation for 2019? Where can I get more information about Maine and the area I will be vacationing in? How do we get to Maine? Do you allow wedding party groups or weddings at your properties? You don't appear to have any homes large enough for our group - so we want to rent two or more homes from you. Can we do this? Is there an age limit on who can rent from you? Can we bring an RV or Camper to the property? Can we pitch a tent at the property? We are renting in the Off-Season (after September 1st and before June 30th) - will all the advertised property amenities be available? Can we have outdoor fires (campfires) at the property? What other fees and taxes are involved in renting a property from you and why? Once I have paid in full, what should I expect next? If I am ever due a refund from you for anything, how will I receive it? What happens if you reduce the advertised price on the rental property AFTER we rent it? We will be working or doing business on vacation and MUST have high-speed internet access and good cell phone coverage. Can that be guaranteed? How is cell phone coverage in Maine? Will there be a landline at the property? How do we reach you after normal business hours if there is a problem with our rental property? What is the most important question we should ask you? We rented from you last year or in the past - should we expect everything to be the same at the property or in regards to your rental policies and terms? I have allergies to certain things - should I tell you if I do in advance so I am not surprised when I arrive at my vacation property to find something that I am allergic to is there? What is expected of me in regards to the cleaning of the property after my stay? What do we need to bring with us to our vacation property? What is a Mid-Stay Clean and How do I schedule One? Will there be beach chairs at my vacation property? How will the drinking water be at my vacation property? Who takes care of any issues that may come up at the property? Do you include any boats with the rental of any of your property rentals? What happens if we leave something behind after we leave? Yes! Tiffany Ford is a licensed real estate agent with On the Water Real Estate located at the On the Water in Maine headquarters in Rockport. 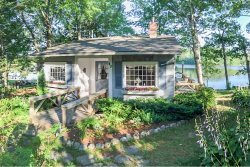 Over the past couple of years, our team has assisted several vacation Guests to purchase vacation homes that are now part of our current rental inventory including Ginn Point Cottage, Maitri House, Dunbar Cottage, Penobscot View and Belfast Village House to name a few. If you are interested in a real estate investment property or a home that will be just for you and your family, make a plan to connect with this team while you are here to have an initial conversation or go house hunting! Call 207-236-4110, or visit the website, to contact via email. Max Occupancy means the most number of guests between the ages of 1 day and 100 years old (or more) that may occupy the property overnight. Many of our waterfront rentals use sensitive waste-water treatment facilities (septic systems) designed for use by a maximum number of adults daily use. Some properties have more beds in them than we advertise for occupancy. Each home has an insurance certificate that dictates how many people the insurance is comfortable occupying the house, mainly based on emergency egress, etc. We can't exceed the occupancy that the insurance company dictates - even if there are more beds or sleeping bag space in the home. However, that restriction doesn't affect the Homeowner, who may choose to sleep more people in his/her cottage when it isn't being rented. You are permitted to have "day" guests visit you at the property and exceed the maximum number of guests as long as they don't spend the night (ie - you can have 1.5 times the occupancy in the property). However, we do not permit family reunions, large gatherings, parties, or other occasions at any of our properties without prior written approval from the owner. Is there a 'Building Code' in Maine? No. Why could this question be important to you? About half the homes we offer for rent were built prior to 1960. Some of the older homes and cottages we offer for rent, especially labeled as "antiques", have many features that are not up to today's building code standards - and under Maine law, that is acceptable. However, if things such as steep stairs, low railings, claw-foot tubs, and knob & tube wiring are a concern for you (mind you these antique homes are still standing today after generations of people having safely occupied them) - then please speak up and discuss your concerns with us. We have asked all our Property Owners to bring their rental properties up to national building code standards for insurance purposes. Definitely not. Our property listings online offer a brief description of each property we offer for rent. We can't go into every detail about a property - you would never read all the details, and we could never list them all. There is certainly ownership on you to do your own research. Please know, we have no problem talking to you endlessly to answer any questions or disclosing to you as much information about any property we offer for the list if you just let us know ahead of time. No. The lowest advertised price per property is posted. We will be in the area checking out properties to rent for next season - or I have a friend in the area - Can we (they) preview potential (or our) rental properties? Unfortunately, no. You are not permitted on the rental property or to drive down any private roads that lead to it until 4pm on your check-in day. Despite making the 'Frequently Asked Question' list, this is a very rare request. We feel we provide enough pictures and information on our website to make a good decision about renting the property you are interested in. Since you aren't buying the house, but rather just vacationing at, it is not typical for showings to occur ahead of time in our industry. If the property you are renting is for sale, you are welcome to view it with a real estate broker - any broker you choose. Please contact our office first and let us know you will be previewing the property to potentially buy it so we know your visit is unrelated to the rental of the property. We only allow dogs at our properties - never cats, monkeys, snakes, etc. Some of our properties will accept dogs, but that doesn't mean we allow all dogs. Dogs under 2 years old are never allowed in any of our properties (another insurance requirement). We do charge a $150 fee for up to two dogs that stay in our properties. There is sometimes an exception to this. The pet fee is not a "cleaning charge" and not designed to cover the cost of extra cleaning should your pet leave the rental property covered in hair from normal shedding. The pet fee is a standard item in the rental, resort, and hospitality industry - it's an "insurance" to us. Carpets and upholstery as well as inside cabinets and drawers that have been professionally cleaned before the start of the Maine rental season in May. Blankets and bed comforters that are clean and are regularly professionally cleaned. One pillow for each bed spot. 1 set of clean bed linens (pillowcase, top and bottom sheet, blanket and bed cover) and 1 bath towel for each bed spot in the house (renters are responsible for beach towels), 1 washcloth per bed spot, 2 hand towels and 1 bathmat for each full bathroom, and 2 kitchen towels. Some Misc. dry food goods such as spices, flour, salt, sugar, etc. A Dining Room table and chairs to accommodate the maximum occupancy of guests at one setting. Outdoor furniture to accommodate the maximum number of guests to eat outside. If any of these items are missing or not working when you arrive at the property - please let us know and we will attend to getting the items replaced as quickly as possible. Check-in actually occurs by phone after 4pm on the date of your arrival. In order to allow sufficient time to prepare the property for your use, we ask that you do not request early occupancy. Requesting to check-in early can lead to awkward and difficult conversations since we ask that you don't do it - and we won't be able to say "yes". Parking vehicles in the driveway of the property before 4pm could delay your check-in time by interfering with our cleaners and inspectors. Check out is no later than 10am. We have only 6 hours to clean and prepare a property for the next occupiers of the Property. That's the beauty of renting through us. We don't make you come to an office to pick up keys, you can arrive whenever you want after 4pm on the day of check-in but, only if your reservation is paid in full and the lease agreement is signed. If you think the cleaners did a good job preparing the property for your arrival - we believe a 1- 2% tip on the un-taxed rental amount is appropriate to recognize their efforts. About 60% of our properties are professionally cleaned by staff we hire. You'll recognize these properties because they will have a tip envelope on the counter/table when you arrive. Often, some of our Guests don't realize that the people who clean for us are not our employees - they are independent contractors. That's how it is in Maine. They are only paid by the hour to clean the houses - but not for the travel time to get the many jobs they are assigned each day. Our cleaners work hard for and count on the gratuity they receive to offset their travel expenses and pay for their cleaning supplies and equipment. With our short rental season in Maine, and a large number of homes cleaners have to clean each turnover day - gratuity is an important part of their compensation, even though the Property Owners who retain them pay them higher than average wages. In comparison, hotel or inn cleaners just need to show up and are paid to go from room to room. Many of our cleaners drive 100 miles or more a day between homes in their own transportation. Yes, unless we tell you otherwise in your driving directions. Currently, our only property that takes water from the lake is Loon Call Cottage. Still, it is treated and safe to drink. All our other properties take water from the city or the well. Properties on well water may not have water that suits your taste - but it will still be safe to drink. No. Often, some people will rent and pay for a house from us for a week depending on its availability, but only stay a few nights, forfeiting the rent on the other nights. Select a property that you like the most and then the dates you would like to vacation. Check the availability of these properties online. If they are available, you can proceed to book the property online, or call or e-mail us to book it! We're very quick at responding to e-mails. Switching properties - We already booked and signed a rental agreement with the owner to rent one of your property offerings, but now see another one we like better, can we just switch? Switching properties can occur, but it is complicated and involves our cancellation policy. Each rental property is individually owned. In order to switch to another property, you must cancel the first rental. At that point, you will be hoping someone else re-rents the original property so you can get all your money back minus a 10% cancellation fee and the initial processing fee. Until the original property is re-rented and paid for in full, you can't get your money back. So, if you switch to another property, you are at a minimum obligated to two different rental properties until the original is re-rented. (In which case OTWIM retains the 10% cancellation fee and the processing from the first rental.) At a maximum, you've rented two properties for your vacation at full price. Where is your office if I need to mail you (or I) something? Will we meet you or your staff during our stay? DBA: On the Water in Maine Inc. If you need to send a package to yourself, or someone else needs to send you a package - DO NOT SEND IT WITHOUT ASKING US ABOUT IT FIRST. Our rental properties are spread out 120 miles in either direction of our office. It is easy for us to deliver packages to properties within 10 miles or so of our office - but not to the more remote one from our office. Exactly twenty-one days prior to your arrival, and after you are paid in full, you will automatically be sent a system generated an e-mail with the access information as well as the driving directions for your property. Our directions will include stops at the closest major grocery shopping store to your property and will help you avoid roads that are not in great shape or frequently congested. The directions will take you right to the driveway of the property. Then, the directions go one step further and instruct you on how to gain access to the property either through an electronic lock, a lockbox containing a key, by finding a hidden key, or in some houses, right through an unlocked door to find a key on the kitchen counter. You will only be provided ONE key to the property you are renting (except at properties with electronic locks in which no key will be provided). Simply return the key to the lock box during your stay as needed for other members of your party to use. Maine is unusual when it comes to beach and waterfront access. Before we continue using the word "beach" we want to ensure all our Guests understand that we use the word "beach" as defined by Merriam Webster - "Beach: a shore of a body of water covered by sand, gravel, or larger rock fragments." Note that "Beach" doesn't always mean "sand". We will refer to a beach as "sandy" when applicable - "sandy beach". According to Maine law, private landowners can and often do hold private property rights to the low water mark. These private property rights are subject to a public easement for fishing, fowling, and navigation up to the mean high tide line. What does this mean? It means that unlike other places you have rented a vacation property before, such as North Carolina, Florida, Maryland, or Delaware, in Maine, you may not be able to walk the beach except in front of the home you are renting. Neighboring landowners are completely within their rights to post signs saying "No Trespassing" on their beaches and may ask you not to walk on or access their beach. We just don't want you to be surprised if this happens to you. Maine is one of the few states with no poisonous snakes or other dangerous animals. The most common wild animals of concern that you will see on your vacation are raccoons and skunks. If you don’t keep your trash stored in tight containers, they will come around in the night and make a mess for you to clean-up. In Maine, you can go lay in the remote woods for hours and the only souvenir you may leave with is some mosquito and black fly bites. Blackfly season traditionally runs from Mother’s Day to Father’s Day (before the rental season). Village and Oceanfront properties typically don’t have issues with bugs. Lakefront properties can have mosquitoes, particularly earlier in the season. We've never seen anyone carried away by bugs, so just be sure to stop in at LL Bean on your way into the state and pick up a little bug spray or lotion – over 1.3 million Mainer's live with em’ and so can you. In Maine, we have some of the best emergency services in the country. Actually, some of our island properties have the best service because Maine operates a great air ambulance service that is within 15 minutes flying time of any of our properties called Life Flight of Maine. Additionally, all the towns where we rent properties have reliable ambulance service and access to great hospitals. We'll provide emergency care information for you in the property you are staying in. How do I make a reservation for 2020 or later? Our annual contracts with our owners are not renewed until the end of each year. We never know what properties we will have to list the following year until later in the autumn season. Renting out their home(s) is an after-thought for most of our Property Owners. Since the rental season in Maine is so short, people who own vacation homes in Maine don't own them to rent them out and make income. Any income most owners receive from renting their home is used to offset the high real estate taxes charged in Maine as well the expensive upkeep of a waterfront home. Most owners pick out the weeks they want to use their own homes first, then share the rest for rent. As a result, we don't start to set pricing or availability for our properties until September of each year, with a goal of having properties available to book by October 1st. If you would like to be put on a waiting list for a certain property - you can let us know and we will try and help you. If you are unable to find the information you need on our website, please call us. We can arrange to have all the literature on making your vacation in Maine complete sent to you free of charge. Click here for a special section of our website on this topic. The Map & Driving Directions e-mail that we'll send you 21 days before your arrival will give you driving directions from the Maine/NH border on I-95, which is really the only way most renters arrive when driving to Maine. If you are coming from Canada or northern New Hampshire, please let us know and we'll give you some advice on other other driving directions. Let's face it, recent news reports show that there have been lots of fraudulent scams going on in the vacation rental industry. Criminals have been duplicating listings and putting their own contact information on the listing, then collecting the money through "mules" (Which is why you should always rent through a VRMA member vacation rental agency like On the Water in Maine and never directly through a homeowner unless you know that homeowner). A recent report showed that as many as 5,000 vacation listings advertised in the USA right now are fraudulent or non-existent. Here at On the Water in Maine Inc., we are the "real deal". In addition to being an A+ member of the Better Business Bureau, there are many ways you can verify our legitimacy. The Past-President of the VRMA knows owner Tiffany personally. We are long-time members of the Penobscot Bay Chamber of Commerce. You can contact the Chamber to find out that we are members in good standing as well as the local community. LiveRez, the producers of this website, are On the Water in Maine's partners. They recently celebrated our success on their website. To list a property with us, all of the over 500 property owners that have and currently work with On the Water in Maine Inc. had to physically meet with us. They all have signed a power-of-attorney giving us full rights to sign their name and rent their homes. They have all given us keys to their homes. Many have asked us to be their property managers and give us full trust to manage their million dollar plus assets. The strength of that should be enough. However, if you need to, we can put you in touch with one of our Property Owners, many of whom are close friends, and they can vouch for us. Finally, On the Water in Maine Inc. has thousands of satisfied past guests, many who we've posted testimonials from here on our website, and we're sure we can connect you with some of them after getting their permission to verify both our character and the honest, trustworthy business that we operate. Our business is our livelihood. If we fail just one Customer and lose the trust we earned, we could jeopardize our business future as well as all our employees and their families. We hope we get a chance to earn your trust too! 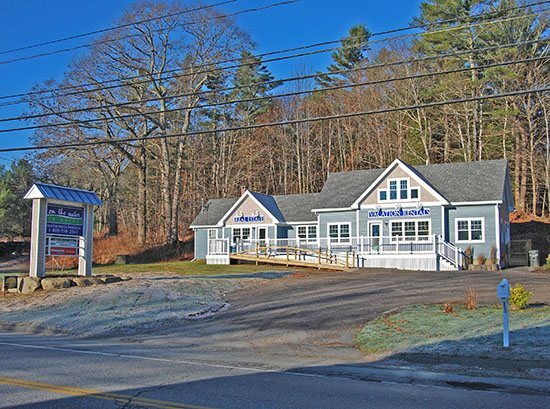 Our current office is located on US Route 1 in Rockport, near the intersection of Route 90. Do you allow wedding party groups, events or weddings at your properties? Sorry, no. Too many 'bad apples spoiled the bunch'. As a result, we no longer offer any of our properties for weddings (since 2006). You cannot host a reception or any event of any kind (anniversaries, wakes, reunions) at any of our properties either. Our Property Owner's want vacationing families only, and their neighbors don't want to be bothered by renter parties. Wedding groups, those that are here to attend a wedding, statistically, have left our rental properties in the worst condition with terrible messes. Tents leave marks on lawns, as do porta-potties. Parking and music is a nuisance to neighbors. Again, too many 'bad apples spoiled the bunch'. We've seen too many promises broken and we have no problem renting out all our properties without needing to offer them to wedding/event groups. It is what it is - sorry - that's our policy and we are sticking to it ;) In the Midcoast Maine area, the Samoset Resort, the Retreat at French's Point, the Owls Head Transportation Museum, the Inn at Ocean's Edge, and more are available for weddings. We know of no private homes in Midcoast Maine that are available for weddings. Visit www.weddingsdowneast.com for more resources on weddings - that is the most help we can offer. This is a tough question we get asked a lot. Large vacation homes of quality in Maine that sleep over 10 people are hard to come by. With such a short summer season and the fact that so many property owners desire to use their homes themselves in the summer, we often say that most property owners that can afford to own such a large home - can afford to not rent it out. With over 18,000 vacation rentals in Maine - we know of less than 200 that sleep 10 or more people that are "nice". Of course, because of that - they book up quickly. As a result, many larger rental parties will look to rent 2 or 3 - sometimes more - homes that are close to each other. This presents a challenge for us that needs to be examined closely. The family reunion group of 25 people that rented 4 homes from us in 2010 changed our perspective on this type of rental situation. They rented one home on the ocean with a beach that slept 6 people, 2 homes in town that slept 6 and 6 - then one larger home that slept 8 that was in a rural location not near town or the ocean. Of course, they all wanted to be on the ocean - so they all gathered at the one 6-person home on the ocean morning, noon, and night - every day. Besides getting calls and complaints immediately from neighbors that were used to only 6 vacation renters being next door, which lead to more noise than they wanted - parking became an issue. When we went to the property to discuss our concerns with the renters - we found all 25 of them on the deck getting their picture taken. This was a well-built and strong deck designed for maybe 10 people. It was obvious right away that the deck was near collapse from all the weight of 25 people on it. Even long after that rental group departed - property owners from all 4 listings called us to report either having an unknown abundance of glasses and silverware in their homes - or a severe lack of them as the renters had mixed things up between the properties. After that experience, we took a close look at allowing larger groups to rent multiple homes from us. We will still consider it - but only under the strong reassurances from rental groups that they will never exceed the maximum occupancy at any of the homes they will rent from us (1.5 times occupancy - no more than 9 people total at a 6-person home) and that they will have their larger gatherings at parks, restaurants, or other locations away from any of the rental properties. Yes, we don't rent to anyone under 25 years old. Sorry - no. Unless you have special permission from the owner, RV's and campers are not permitted at the property. Can we pitch a tent or have a kiddy pool at the property? Sorry - no. Tents and kiddy pools can leave a patch of dead grass underneath them when removed. Also, tents can lead to renters exceeding the maximum occupancy of a property. Only if the property has a firepit or place designated for a fire. Some ocean property owners will allow fires on the beach below the high tide water mark. Not necessarily. For example, some floating docks at properties may not be available at properties until late June and then pulled in September. Call us for more details if you have questions. 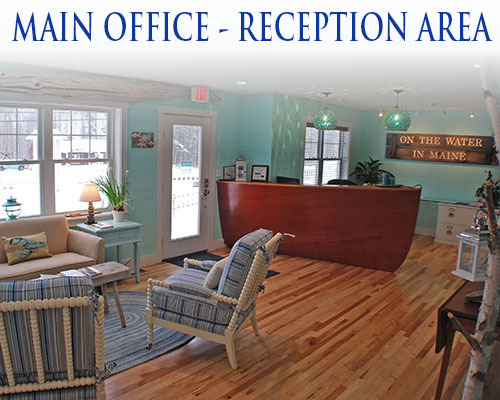 The 10% Processing Fee* - On the Water in Maine Inc. is a for-profit business offering exceptional service to both its Property Owners and vacationing Guests. In order to offer the high-end level of service that we do at a reasonable cost for all, we charge a 10% processing fee which is calculated on the subtotal for each rental subtotal, then added to a 9% tax on that amount. Included in this fee is the Damage Waiver. The majority of our property owners charge a cleaning fee (taxable). This fee is determined by each individual owner. The listing will indicate if there is a cleaning fee. Otherwise, cleaning is included with the rental. For long-term off-season rentals or rentals at properties that we offer as "extended stays" or year-round rentals, we charge a 3% agent processing and application fee on the TOTAL rental for the lease to the renter (and not a 10% fee or lodging tax if you apply). Upon receiving the Rental Agreement, 50% of the Grand Total will be due. Our rental season in Maine is less than 12 weeks, so we need to be sure you are committed to the time period you want to rent and not miss an opportunity to market the property to someone else if you aren't committed. The remaining 50% balance is due 60 days prior to check-in date. We accept all major credit cards, but of course, prefer checks. After you have paid in full, and 21 days before your rental, we will send you the driving directions and access information to your vacation rental property by e-mail. Within the week before you head to your property, we will contact you by phone or e-mail to ensure you have all the details as well as the access code to gain entry to the property. If you don't have your information within 2 weeks of the stay at your property, please contact our offices so we can re-send it to you. Guests will receive refunds in the same manner in which they paid unless it is an eCheck. In this case, a bank check will be mailed to the renter's address on file. What happens if you reduce or increase the advertised price on the rental property AFTER we rent it or before we book it? Nothing. Fortunately, this doesn't happen often. It's called "Yield Management". Unfortunately no. Some guests must work while on vacation. 90% of our rental properties offer Internet access. (Most are wireless.) Internet service in the villages and towns is generally pretty reliable. However, outside of town in the more rural areas - it is not. If the Internet goes down, it can often take days or weeks to get repaired, especially in the busy summer season. If you MUST have internet access during your stay - let us know. We will tell you if the property you are renting has better service than most. We do not guarantee working internet access at any of our properties and do not offer refunds if it is not working. There are many public WiFi Hot Spots in Maine that can be used alternatively. Improving - each year is better than the last. Talk to us about this if it is important to you. Possibly. About 70% of our rental properties don't have a telephone "land-line". If having phone service at the property is important to you, please let us know. How do we reach you after normal business hours if there is a problem at our rental property? Option 1: "General Guest Issues". This line is open Sun-Thurs 8:30 am to 5pm, Friday & Saturday 8am to 9pm. Please choose this option for any issues at the house that are keeping you from enjoying your stay, such as the there is no heat, an air conditioning unit isn't working, the internet is not working, there is loss of TV signal, something is broken or something you believe is important for us to know. If one of our agents aren't available, they will call you back during the hours listed above, at our earliest convenience. Option 2: "Urgent" issues. This line is open 24/7. Only one staff member is available to take calls from this line between 5pm and 8am, so please be patient if your call isn't immediately, answered. Someone will call you right back. Please only push the option for this extension for the following items: Plumbing Leaks, Isolated Electrical Outages (not related to a neighborhood or regional power outage), alarms going off (if you smell smoke or see fire, evacuate the house and dial 911), Medical Emergencies that require our assistance, such as the other person in your party needs to be hospitalized and you need assistance with transportation, watching children, or attending to pets), or Lock Outs - where you are locked out of the property for any reason and cannot get back in. Please DO NOT call our Urgent Issue line for heat, AC, internet or TV related issues. We need to keep this line open for all of the "Urgent" issues listed above for the over 150 properties we manage. "We have reviewed all the pictures for the property we are interested in renting from you that you have posted on the listing page. We have looked at the Google Earth Map that you provide to see the satellite view of the property on the listing page and understand the area around the property. We have read the entire Property Description on the listing page and looked at all the photos. As a result, we have generated our own assumptions about the rental property. Should we verbalize our assumptions and ensure that we understand completely the property we are renting from you before we rent it?" YES! One of the most popular words we get in any feedback from our guests AFTER they rent with us is the word "ASSUMED". If you have any assumptions to make, please let us know BEFORE you rent the property with us. No. This has been a problem in the past for us, which is why we felt it important to share it here. Our property owners are constantly updating and changing things to their properties - usually for the better. However, sometimes their changes may affect something that you are counting on. For example, they may have changed from twin bunk beds in one room, to a king-sized bed instead. If you have certain expectations about a property you have rented from us before, please be sure to tell us up front - we don't want you to be disappointed. We have had guests with allergies to down-pillows, cleaning products; air fresheners, etc arrive and contact us at 10pm on a Saturday night to asking us to address these issues. Had we known in advance, we could have tried to accommodate them or been able to quickly resolve the issue before their arrival. If you have an allergy, don't assume we will know it - tell us up front. Cats - we never rent to cats - but, some of our owners have cats in the homes during the off-season. If you are allergic to bees, please let us know! We'll be diligent before your arrival to check the property and ensure no nests are evident. Again - if you have allergies to anything - please tell us when you book the property - we want you to have an allergy-free vacation. What is expected of me in regards to cleaning of the property after my stay? Your property should be cleaned to your satisfaction when you arrive. Cleaning is included in your rental price. However, should the cleaning of the property exceed the hours expected, you will be charged $35 per hour from your credit card on file for any extra time it took to clean the property. This rarely happens, when it does, there will certainly be a discussion with you, usually within hours of departure. Here is a link to our Departure Checklist if you would like to review it ahead of time. 98% of the time, we find that guests have left a property just as they found it minus some basic cleaning when they checked-in, which is expected. Our cleaners are most likely to disinfect, vacuum, dust, and make beds when a guest departs a property in order to prepare it for the next guest. Re-emphasizing our membership with the BBB (Better Business Bureau), it is not our goal to generate income off of cleaning, nor do we or the owner generate income from cleaning charges. Cleaning is a challenging part of the seasonal vacation rental business. It is not expected that cleaners should need to clean up new carpet stains, wash dishes, scrub clean barbecue grills, pick-up excess human or pet hair, and replace furniture to its original location, etc. after a guest departs. Our cleaners only have a 6-hour window in which to clean multiple properties each turnover day (Saturday). The last thing we want them to do is spend extra time at a property cleaning it because it was left excessively dirty or displaced as it will set back their schedule. We only ask that our guests will ensure they will do their best to leave the property as they found it when they arrived. If you have brought a dog or dogs - you must vacuum up all their pet hair. There should be no evidence a dog was in the property upon your departure. We do not review properties with our guests at Check-In to confirm the condition of the property, but guests can let us know of any concerns about a property when they Check-In. In summary, we like you to think of the vacation house you are renting from us as your "Aunt Sylvia's Maine Cottage" and treat it the same way you treat a family members house if they let you go use it for a week. Mid-Stay cleans are available to all Guests and price is dependent on the property itself. They include up to 3 hours of cleaning service - this includes making beds, doing dishes, and light cleaning. If a rental is over 2 weeks and this cleaning is requested, it will also include linen and towel washing/replacement. We only offer Mid-Stay cleaning service on Wednesdays or Thursdays and require that the house/cottage be vacant of Guests so that our cleaning crew can move about smoothly. This will be the same cleaning crew that cleaned the Property before and after your arrival - so you can be assured that they are vetted and trustworthy. All the food, condiments, and things you need to feel at home. We take pride that a majority of our properties are fully stocked with all the tools necessary to have a great vacation. We have "pump" soap in all the bathrooms and in the kitchen for basic cleaning, so if you want your favorite soap for washing, you'll need to bring that. If you didn't rent linens and towels, and your property doesn't include them, you'll need to bring those. Definitely bring beach towels if you plan on swimming. Drinking water at 99% of our properties comes from a well or city water and is great to drink right out of the tap. The listings for each property describe the water source under the Amenity section. On the Water in Maine is the caretaker for about 20% of the properties we offer for rent. For the rest - we are simply the rental agent. The other 80% are managed by the Property Owner or a caretaker/property manager that they have hired. In the unfortunate event something isn't working right at the property and needs fixing - please contact our office right away (using the communication schedule above). If we are the property manager, we'll work with you to come fix it as soon as possible, based on the urgency of the need of repair and your schedule for having us come by to address it. For the other 80% of our listings, we forward on the report from you to the Property Owner or their caretaker to address. We can't guarantee that properties we don't manage will get an immediate response from the Owner or their representative - but we will do everything we can in our power to address the issues as quickly as possible if they don't. Do you include any bikes or boats with the rental of any of your property rentals? We do not include bikes or boats such as canoes or kayaks with any of our property rentals unless a listing specifically states that a bike or boat is included. Fortunately, Maine Watercraft Rentals Inc., our other business, offers boats for rent and we can deliver them right to the property before you arrive in most situations with life jackets, fuel, and all you need to get out on the water. Click HERE to see our boat rentals. Bike rentals are available only in a few locations in the state. Click on the Amenities section of our website menu, then Affiliate Amenities to see some we recommend. Even at properties that offer bike or boat rentals - we do not guarantee that they are in good working or usable order. Unfortunately, our lost items policy is not as "friendly" in appearance as we would like it to be. It is very difficult for us to then make a trip back to a property to find lost items because often a new renters take possession of a property 6 hours after you departed. As a result, we must charge a fee to retrieve lost items. In addition to shipping and handling charges to return your items left behind, we charge $50 to look for and retrieve lost items. Bottom line, triple check the rental property before you depart to make sure you left nothing behind. Copyright © 2006 On the Water in Maine Inc.